Russia's hybrid military forces attacked Ukrainian troops in Donbas nine times on Thursday, October 26, according to the press center of the Anti-Terrorist Operation (ATO) Headquarters. "The situation in the ATO zone remained unchanged. The enemy continued to shell the Ukrainian positions, sometimes using mortars," the ATO HQ said in an evening update. In the Mariupol sector, the militants used 82mm mortars, various types of grenade launchers and heavy machine guns three times against the defenders of the village of Shyrokyne. Read alsoUkraine reports 15 attacks in Donbas, 1 WIA, use of banned arms on Oct 25In the Luhansk sector, the Russian occupation forces launched at least twenty 82mm mines near the village of Troyitske. Moreover, they opened fire from infantry fighting vehicles near the town of Popasna. 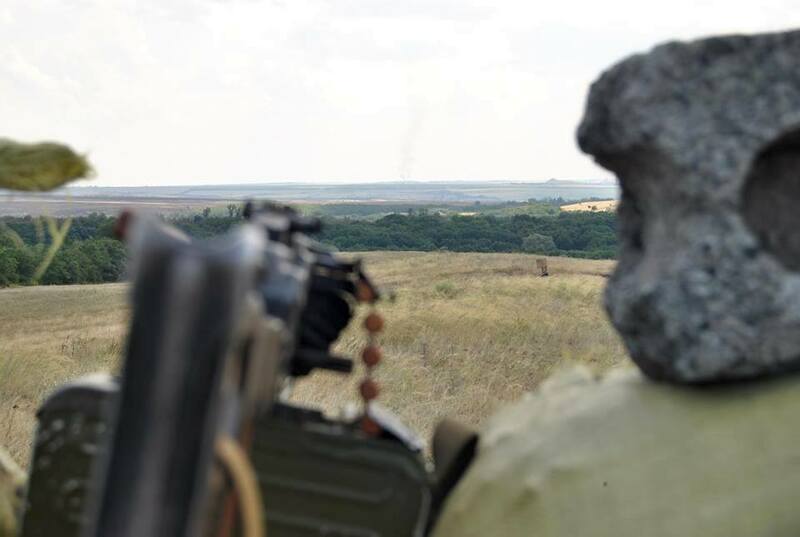 In the Donetsk sector, the Ukrainian fortified positions near the town of Avdiyivka, and the villages of Pisky and Troyitske came under fire from grenade launchers and small arms. "The ATO forces fired back four times, thus forcing the enemy to observe the ceasefire. There were no casualties among our military as a result of hostilities," the press center said.